For some people, writing a poem is as natural as riding a bike but for most of us, we usually don’t even know where to start. 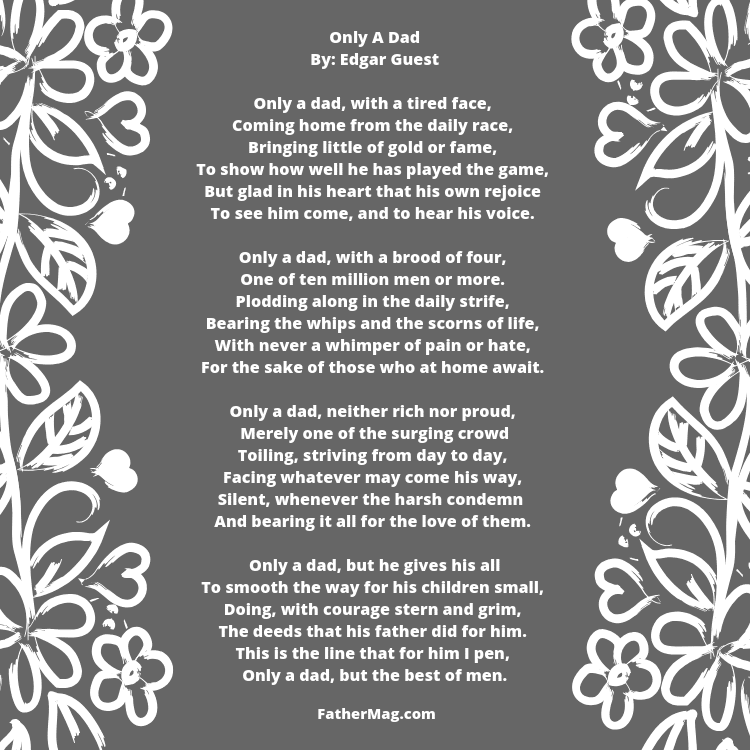 Don’t worry, here we have put together some of the best father poems that you can copy and write down on a card or you can also read it out loud in front of your dad. 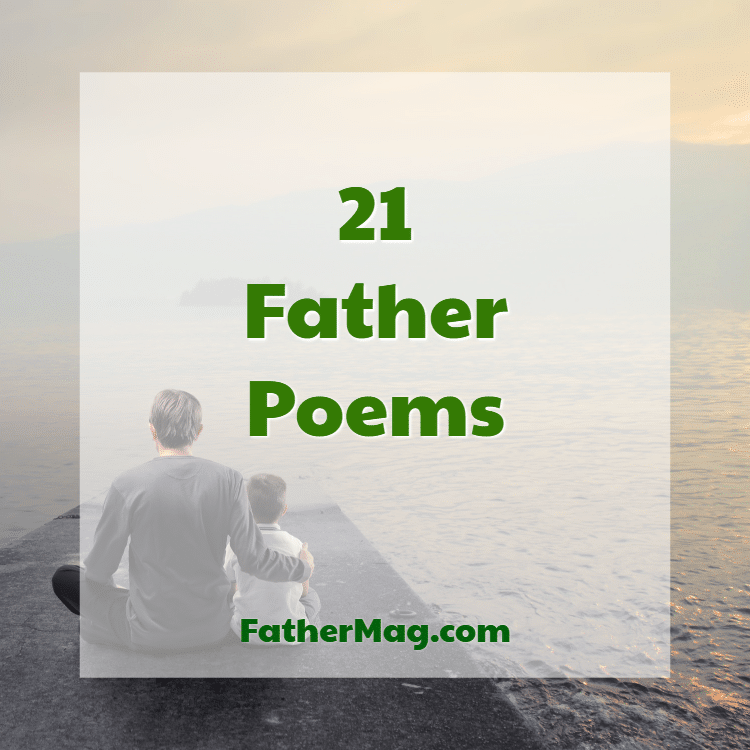 It doesn’t matter how you’re going to deliver them – picking any of these poems will definitely melt your dad’s heart. As she entered into a strange new world. As tears of confusion ran down the newborn’s face. And with that he vowed to give this child a place in his heart. The girl had began to grow. And she learned how to walk. To comfort her whenever she fell. As the girl was in her first year of middle school. That would send a sad, cold knife through the man’s heart. That it wasn’t the end of the world. As she spat cruel words of anger towards the man she loved. But did scold her in hopes that she would learn. And it was the girl’s middle school graduation. The man and his wonderful wife were watching with pride. As when the girl went up to accept her award. He snapped multiple pictures to cherish the moment. Through screams of anger and shrieks of laughter. But did so much more. But also the most amazing friend I could ever ask for. From the others, I’ve seen. As you lovingly nodded your head. A precious gift from our God up above. Your silly ways could always make me glad. Even when all hope seemed to be gone. Are from your genuine love and concern. With deep appreciation for all, you have done. With all my love, Your Daughter, Your Friend. 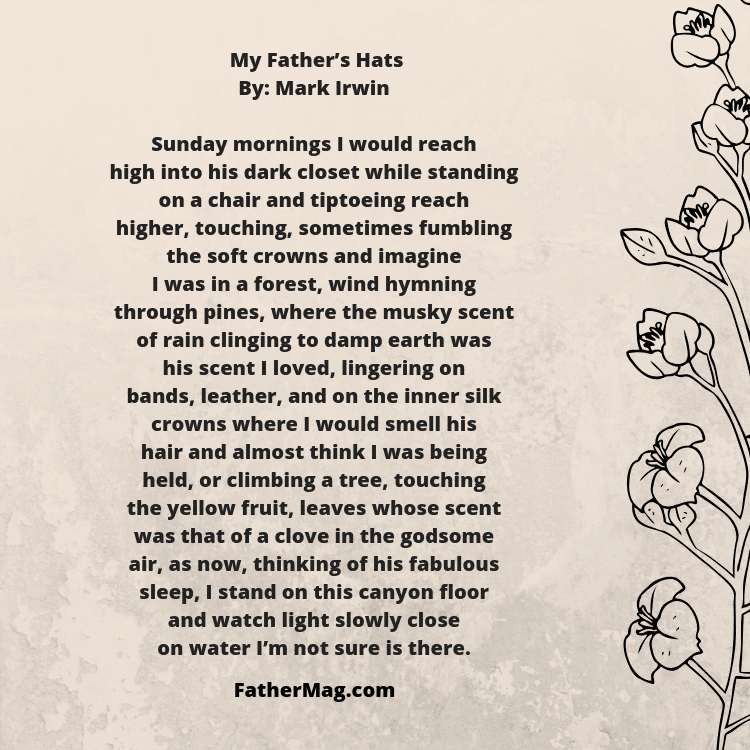 Check out these Father Daughter Poems. All I could see were tears in my father’s eyes. It would be the greatest ever told. For I was his baby girl. I’d write about the lessons. That one day I’d be strong. He would say what’s done is done. I will never run and hide. And I’m thankful for you as I live day by day. Than the other—into their Sunday dresses. Softly stitched and printed with a bud. These skinny keys to intricate locks. These bony valves and stubborn eyelets? The filmy dress revolves in my blind fingers. The slots work one by one. They do become more real. I would roam with my six-gun buddies. Grimy with wounds, then headed home. Scratched and shone and weighed like a slow hour? That we should shine—in gratitude. And wait for the result. To be undone, they won’t help me. You listen to what I say. on the water I’m not sure is there. About the years before the war. And a Greek served coffee black as a dog’s eye. In a Murphy bed and practicing clairvoyance. To watch the starlight’s soft explosions. 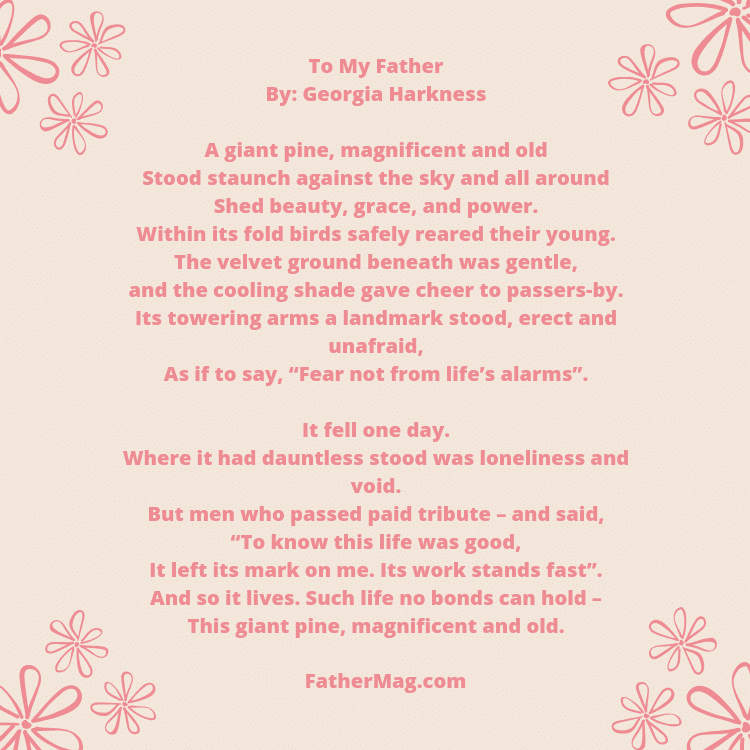 Check out these Father Son Poems. Shed beauty, grace, and power. and the cooling shade gave cheer to passers-by. It left its mark on me. Its work stands fast”. and brittle. I can’t bring my father back. white stars sharp-pointed on a field of blue. steam billowing like a smoke screen. and I can’t bring him back.